The Primary Healthcare Centres (PHCs) is the health system closest to the people especially those that reside at the grassroots who are mostly economic disadvantaged. Over the years, governments have come and gone without paying any serious attention to this all important health system to the majority of those who queue up to cast their vote for their representatives at varying public offices. Instead of making adequate funding for the PHC, these crop of leaders prefer jetting abroad on regular basis for medical tourism without thinking of developing theirs to attract others. The very apt stunning revelation that 30 out of 1,390 PHCs across Niger State are in good state of dispensing health care services to those such facilities are meant to serve. Although this is not just happening, but it is against widely held and spread views and claims by key state government officials including Governor Abubakar Sani Bello, Speaker, Niger State House of Assembly, Hon. Ahmed Marafa and even the state’s Commissioner for Health and Health Services, Dr. Mustapha Mohammed Jibrin who at several fora told the world that, the state has functional 274 PHCs. Dr. Makun Sidi who made the startling revelation while in Bida to handover the construction site for the upgrading of facilities at the Niger State School of Nursing and Sciences, Bida, disclosed that out of the existing 1,390 PHCs across the state, only thirty were in good shape to discharge mini healthcare services. At a recent audience with some healthcare givers in his office, Speaker Ahmed Marafa allegedly boasted that the state has functional 274 PHCs and even challenged those in doubt to go round and see for themselves. Sometime in August, 2016, while at the commissioning of a new PHC in Lapai built and donated by the MTN Foundation, Governor Sani Bello had assured that within one year, his administration would construct 74 additional new PHC in all the 25 local government councils in the state. The project according to him was to be carried out under the PHC Under One Roof, (PHCOUR) initiative. 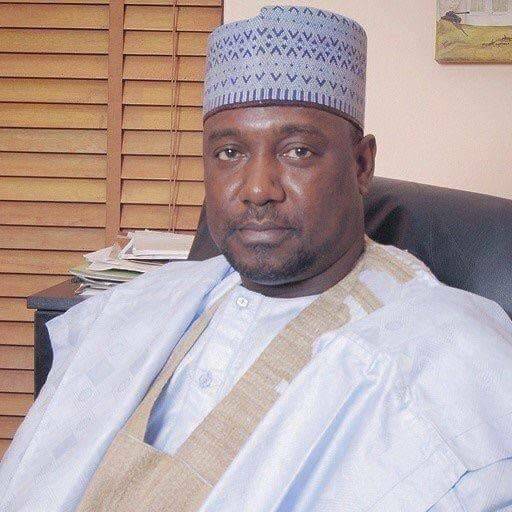 Relatively, in January this year at Baban Tunga area of Tafa, during the commissioning of a 40 bed capacity women and children PHC funded as constituency project by a federal lawmaker representing Tafa/Suleja/Gurara federal constituency, Lado Abubakar Suleja, Governor Sani Bello again repeated that his administration will soon construct a PHC in each of the 274 political wards of the state. Similarly, the stste’s Commissioner of Health, Mustapha Mohammed Jibrin said the present administration in the state would deliver the 74 additional functional PHC this year. Also, Speaker of the State House of Assembly, while playing host to officials of the Bill and Melinda Gates Foundation in his office in June this year, told the leader of the delegation and Senior Programmer at the Foundation that the Niger State government had intensified efforts at ensuring that all the 277 wards in the state have functional PHCs for the health care needs of the rural poor. However, the revelation by the Permanent Secretary who is more on ground than all those who made such earlier claims and assertions, must have punctured all the claims by the state government officials on the state of PHCs in Niger State. Dr. Makun Sidi however assured that the state government has selected 274 PHCs for rehabilitation to make them functional to provide health care delivery services round the clock. With this revelation and plans to revamp additional PHCs in Niger State, it is important to add that this is part of primary responsibilities of any government and the time has come to stop politicizing health issues because an healthy population determine healthy society which again determine the GDP of a defined state.